Employment law is a hotbed of complex legal questions for employers and employees alike due to the significant number of changes to case law and legislation. In this full-day, practical, real-world employment law course, seasoned faculty will get you the answers to your most challenging questions so you can better navigate this rapidly changing and challenging area of law. Merely keeping up with the increasing number of changes can be tough for the most experienced of practitioners - get up to speed on the demanding situations that may walk through the door at any moment - register today! Navigate intermittent FMLA leave challenges, termination of employees on leave and more. Untangle workers compensation, the ADA and FMLA. Learn how to prevent and handle age, race, pregnancy and gender discrimination in the workplace. Clarify confusion regarding workplace LGBT discrimination and create workplace policies that are in line with the latest developments. Confidently handle challenging EEOC and state agency charges. Get the latest information on FLSA changes and overcome hurdles they create. Lean how to avoid non-compete, confidentiality, non-disclosure and non-solicitation agreement dangers. Find out how employee internal investigations and attorney-client privilege is preserved or refuted. Discover how to best handle difficult hiring and firing issues. Confidently manage problem employee issues, such as mental health challenges, bullying, harassment and marijuana complications. 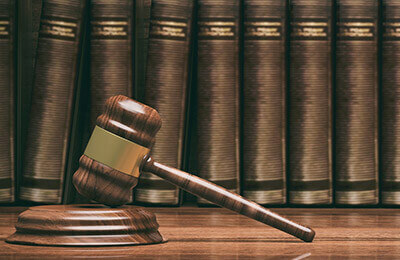 Examine ethical issues in employment law. How do I Untangle Workers Compensation, the ADA and FMLA? What are Employers Top Challenges With LGBT/Sexual Orientation Discrimination? How do I Properly Respond to Difficult EEOC and State Agency Charges? What Does the EEOC do After They Get a Charge? How Can I Overcome Current Challenges With Wage and Compensation Laws/FLSA? How do I Avoid Non-Compete, Confidentiality, Nondisclosure and Non-Solicitation Agreement Dangers? How do I Preserve Attorney-Client Privilege During Employee Internal Investigations? How do I Best Handle Complex Hiring and Firing Issues? How do I Deal With the Most Problematic Employees? What Are Top Ethical Issues in Employment Law?